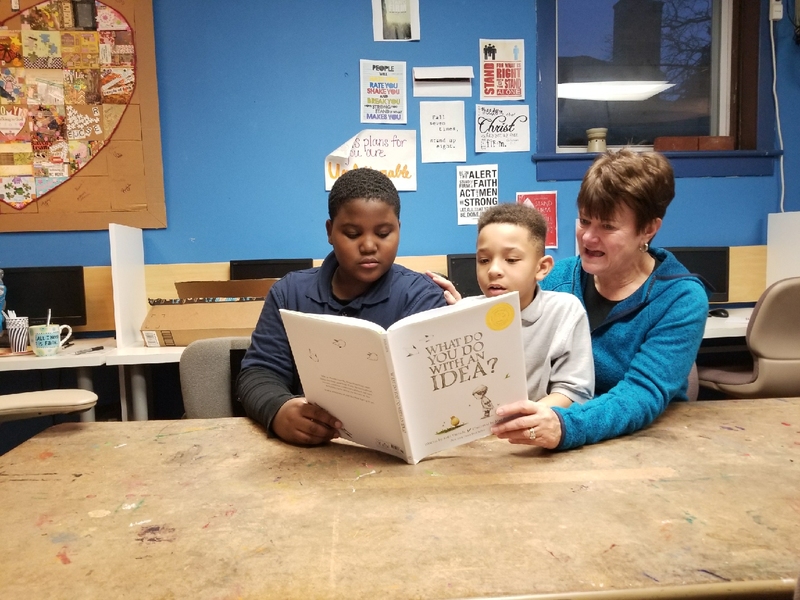 As a volunteer at the Community Center since 2016 I am excited about the direction the reading program has taken. My initial draw was the need for after-school tutors and Thursdays were the perfect fit for me. “Program Lite” is a special day of the week where students rotate every 40 minutes between gym activities, homework room, and crafts/free time options. The reading room is an additional component for students grades 1-6 who may need additional support. Currently there are 11 students who are assisted by several volunteers each week to improve the children’s reading comprehension skills. The volunteers come from all career backgrounds: state employees, a financial planner, The Director of the Performing Artist Series at HACC, and a Daymon Interactions employee. I am a retired elementary school teacher so this was right up my alley. When Serina asked me to oversee the reading room I was delighted! The other volunteers and myself work on phonemic awareness, fluency, oral reading, and understanding text through board games, Readers’ Theatre, and age appropriate books and worksheets. We have all developed a rapport with the kids and some of the relationships have evolved over several years. The men provide positive role models and we all take pride nurturing our charges even if it’s only for an hour each week. Please continue to pray for the development of our reading program. Pray about whether you would like to come help a student become a better reader. Right now, we assist 11 students, but there are many more who could use a dedicated individual that is passionate about seeing children become all they have been created to be.